This just may be my favorite soup ever. I could eat it day after day. It’s so comforting and light. Perfect for spring, or even a rainy, cooler day in summer. I really love the ginger and jalapeno in this soup. When adding the ginger, you can use either fresh or powdered. Remember that you need to use more of the fresh ginger than the powdered, so if you do that, be sure not to skimp on the amount in the recipe, or you will really miss the flavor. 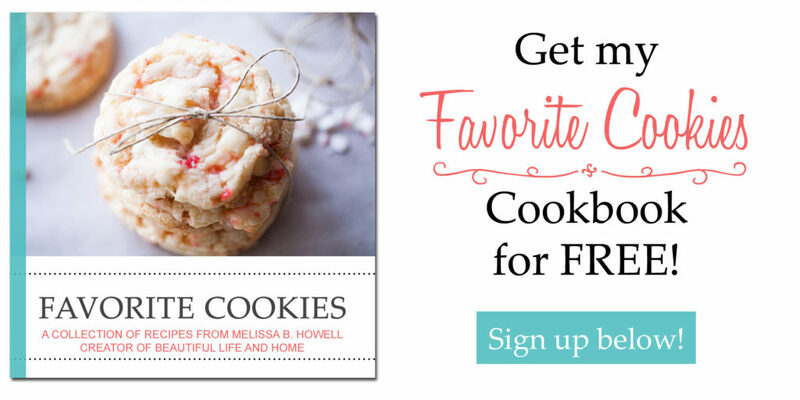 I also love this recipe because it is the perfect way to use up leftover chicken or turkey. 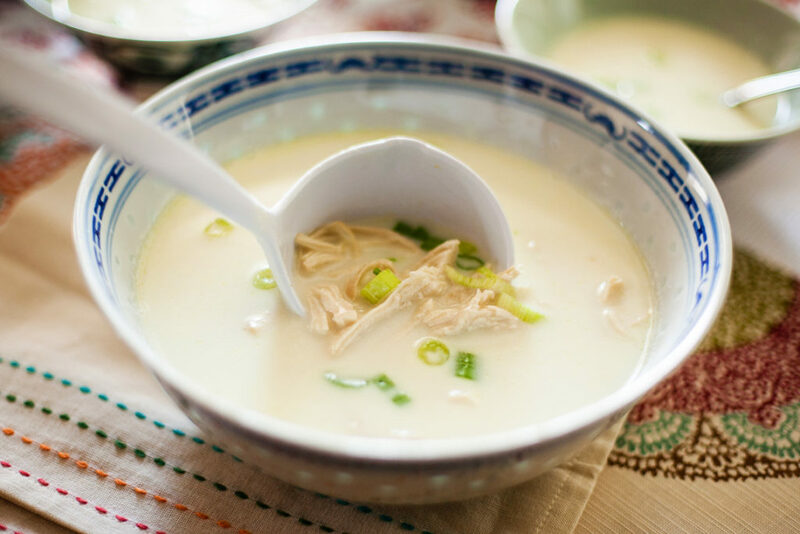 When the chicken is already cooked, this soup can be ready in less than ten minutes. It’s the perfect remedy when you have just a little leftover chicken, because you only need one cup. Definitely keep this recipe in mind for those days you want a quick, easy dinner or lunch! 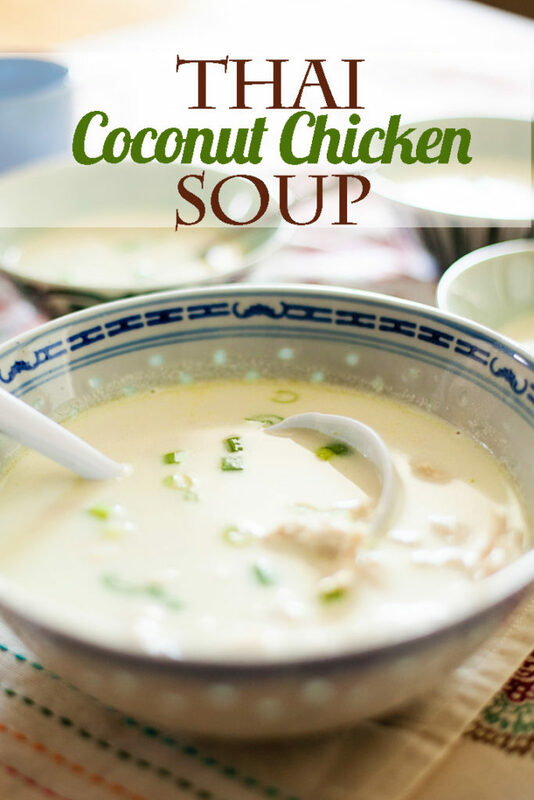 Adapted from Easy Thai Coconut Soup from Savoring the Seasons with Our Best Bites. Place a medium-sized pot on the stove and turn the heat to medium-high. Add the oil, jalapeno, and ginger (if using fresh ginger). Cook for one or two minutes until jalapeno and ginger have softened. If using ground ginger, add it after the jalapeno has softened. Add chicken broth, coconut milk, and salt, and bring the mixture to a boil. Once boiling, carefully add the chicken, lower the heat, and simmer for a minute or two until the chicken is warmed through. Ladle into bowls and top with chopped cilantro and green onions if desired. 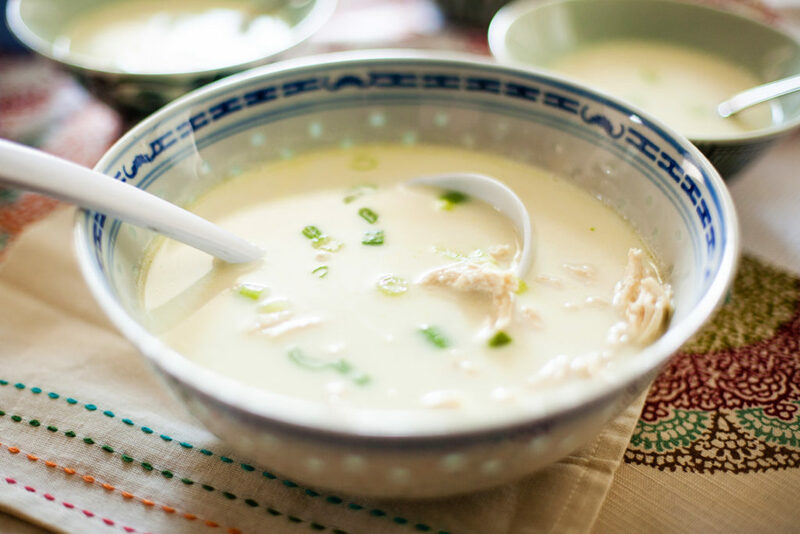 Adapted from Easy Thai Coconut Soup from the book Savoring the Seasons With Our Best Bites. This looks delicious. I think I would sauté up some shrimp to put in at the end instead of the chicken though. Yum!